Michael, a member of the Massachusetts, Rhode Island and Florida Bars, has practiced law since 1995, concentrating in estate planning, taxation, probate, estate and trust administration, elder law and long term care planning. He has been designated a Certified Elder Law Attorney by the ABA-approved certifying entity, the National Elder Law Foundation. 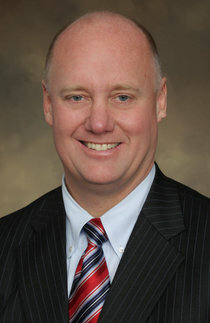 In 2010 he was listed by Boston Magazine as a Massachusetts Super Lawyer in the fields of Estate Planning and Elder Law. Michael has an L.L.M. in Estate Planning from University of Miami’s School of Law. He earned his law degree from John Marshall School of Law in Chicago, where he also received a Certificate in Estate Planning and Personal Financial Planning from John Marshall’s Graduate Tax Department. He graduated from Ripon College in Ripon, Wisconsin with an Economics and Business Management degree. Michael is married to Mia Lahti. They reside in South Dartmouth, MA with their three children, David, Martha, and Holly. Michael and Mia also have a vacation home in Matunuck, RI. Licensed in MA, RI and FL.